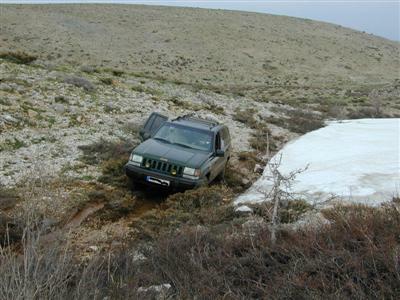 These Orvis Jeep photos were submitted by Walid...a true Jeep Lover (and contributor to this website) from Beirut, Lebanon. 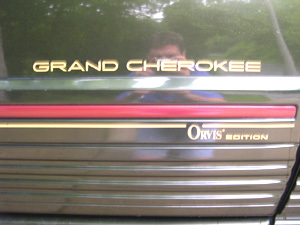 His enthusiasm for his 1995 Orvis Jeep Grand Cherokee is contagious and indicative of most Jeep owners...including yours truly. 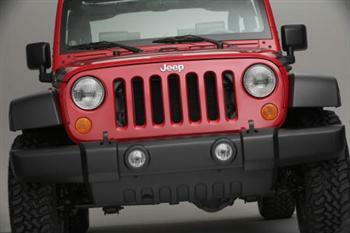 If you would like your Jeep photos published here at 4 The Love Of Jeeps.com then send your photo link attachments and a story about your Jeep(s) to Your Jeep Page and I will review them for inclusion into this website. 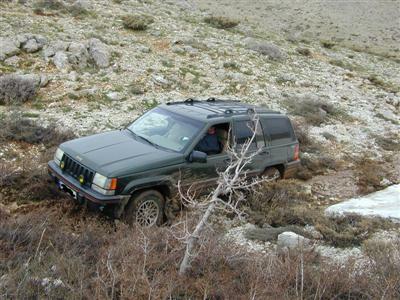 Now take a look at Walid's Orvis Grand Cherokee photos and don't forget to leave him some comments when you return to his story page (near the bottom of that page). 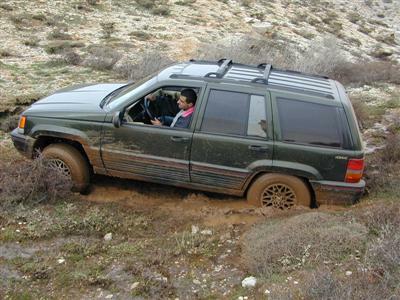 You know, we see a lot of Jeep Wranglers and Jeep Cherokee XJ's on the trails, but every now and than we see what was often considered a "luxury" SUV running the same trails. 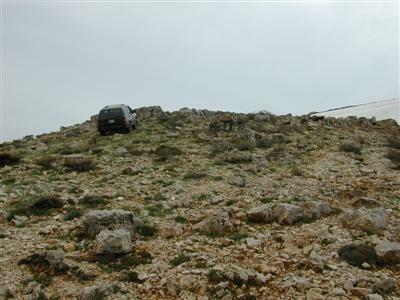 That would be the Jeep Grand Cherokee like Walid's (above). 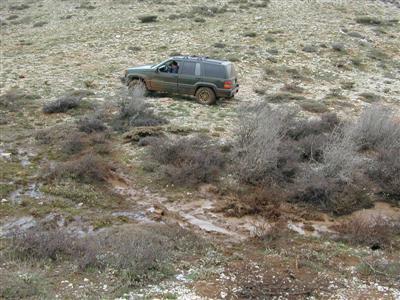 What a cool and comfortable way to experience the off road countryside...and building one of these into a 4x4 trail screamer is well within reach, especially if it is one the solid front axle models produced from 1993 through 2004. 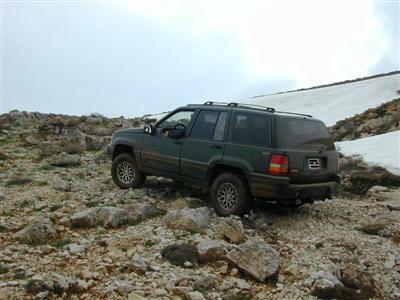 After 2004 the Jeep Grand Cherokee received an independent front suspension, and the newest models have front and rear independent suspensions. Although not as tough as a solid axle Jeep the independent suspension rig can still be quite trail worthy. 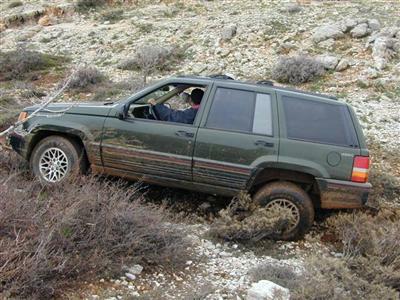 Love your Grand Cherokee or Cherokee XJ? 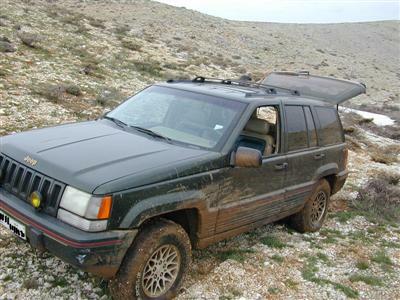 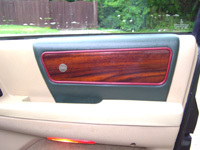 Then, send a story and photos to "Tell Us About Your Jeep Cherokee or Jeep Grand Cherokee"...and don't forget to scroll down to see what other Cherokee and Grand Cherokee lover's submitted.